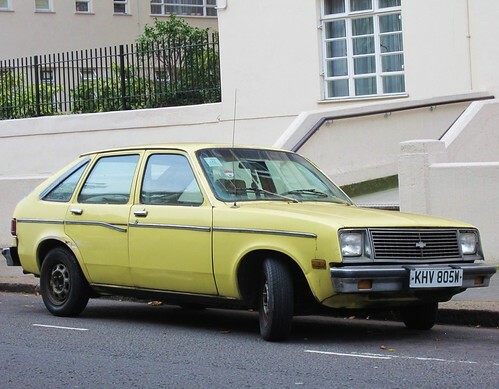 1981 Chevrolet Chevette 1.8 Hatchback. Certainly a local landmark, this car is the shabbiest thing on four wheels for quite a distance where it is parked up, in a rather prosperous part of Central London, amazing that it's still going really. The rear end has an impressive array of tape repairs too, and it has been retaxed until the middle of the year, but that does mean the owner only bought six months of tax this time round, hopefully that isn't a bad sign. Imported in 1987, is there even anymore American Chevettes in the UK?